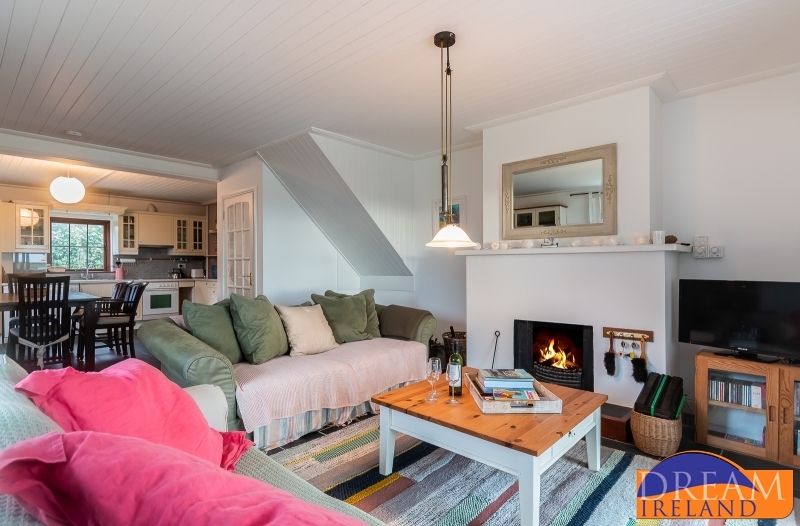 If ever there was a beach house ideal for a family holiday, then this is it! 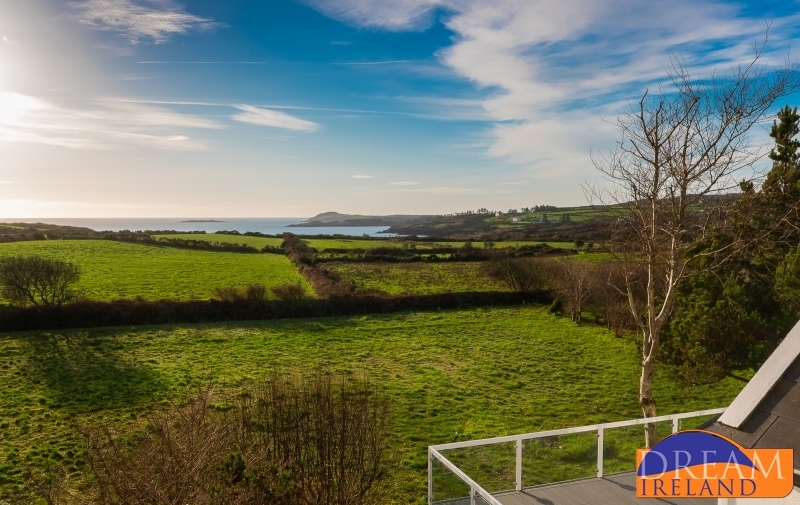 The Schooner is a wonderful home offering fabulous sea views with only a couple of fields between. 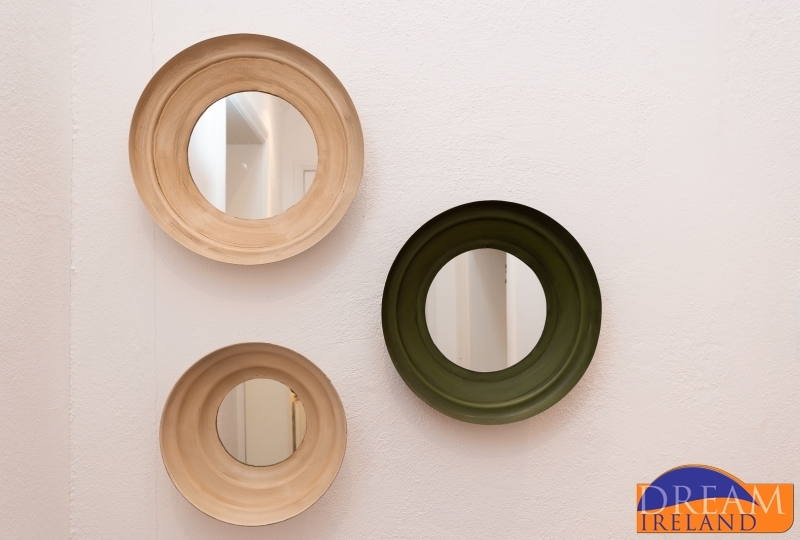 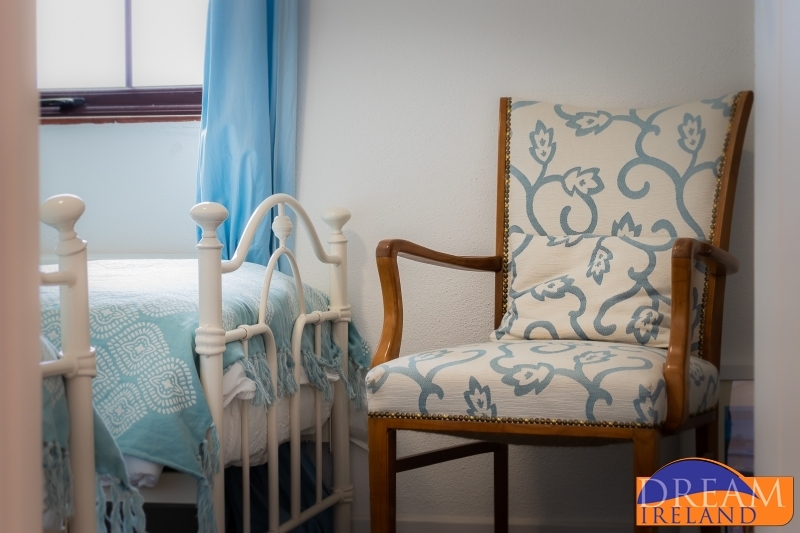 The décor is tasteful and is very much in fitting with its location by the sea. This is an interesting house with lots of nooks and crannies and places to be throughout the property. 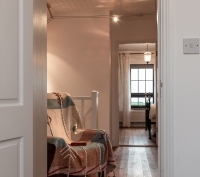 You enter through the front door and go into the sitting room which is set to the rear of the house and has great views of the sea. 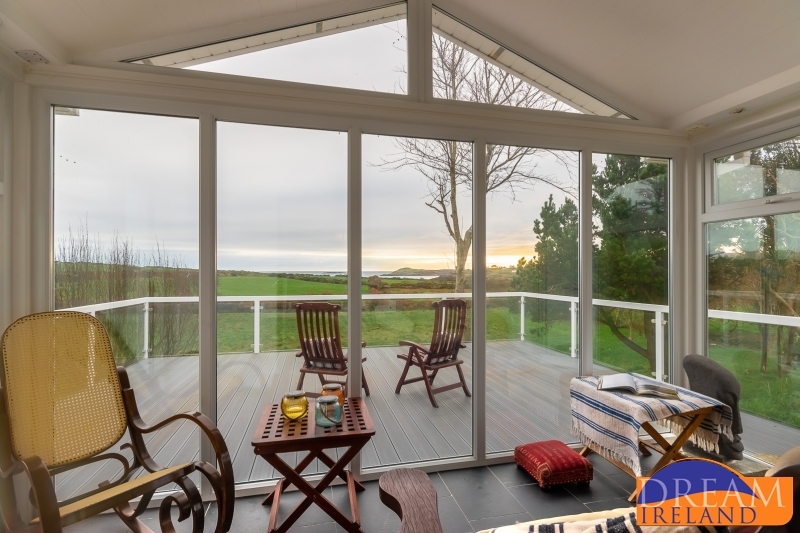 Patio doors lead outside to the patio area – a lovely place to sit out and enjoy the long summer evenings. 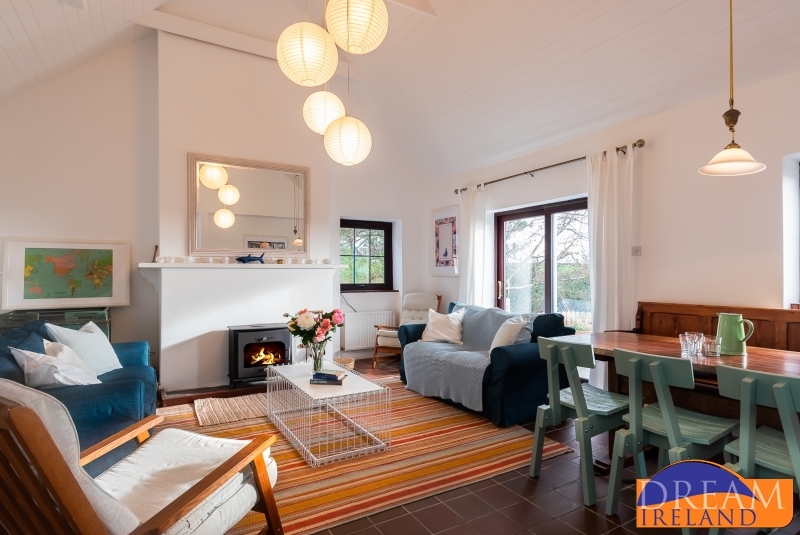 There are two couches, a welcoming wood burning stove and a dining table with three chairs and a bench. 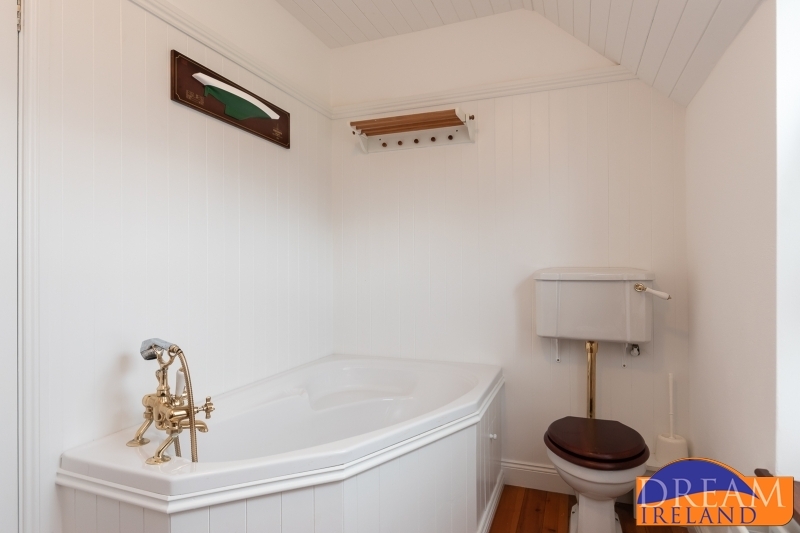 There is a bathroom beside the sitting room which has a bath and a shower over it. 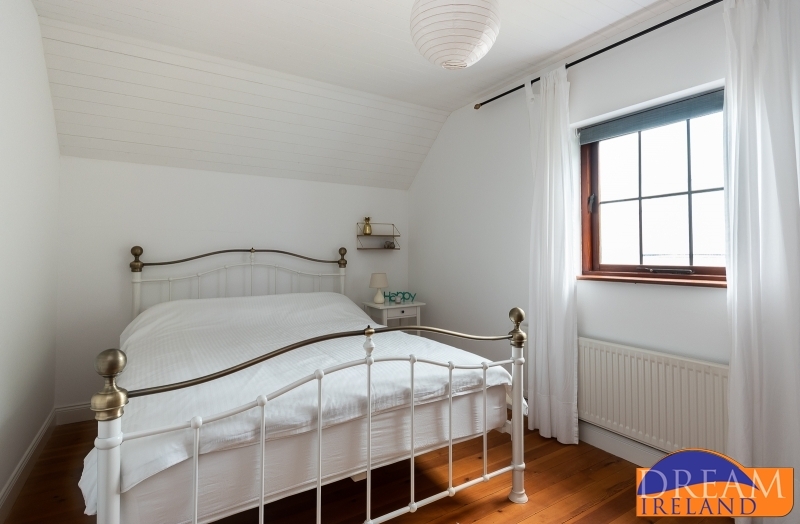 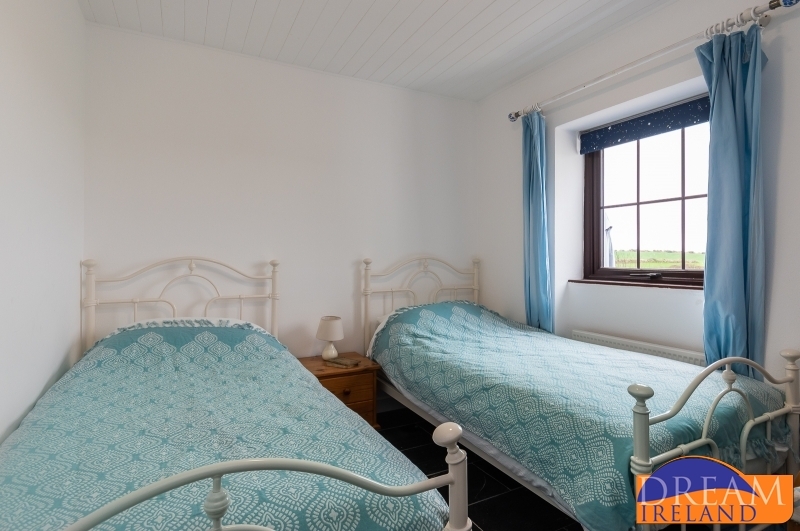 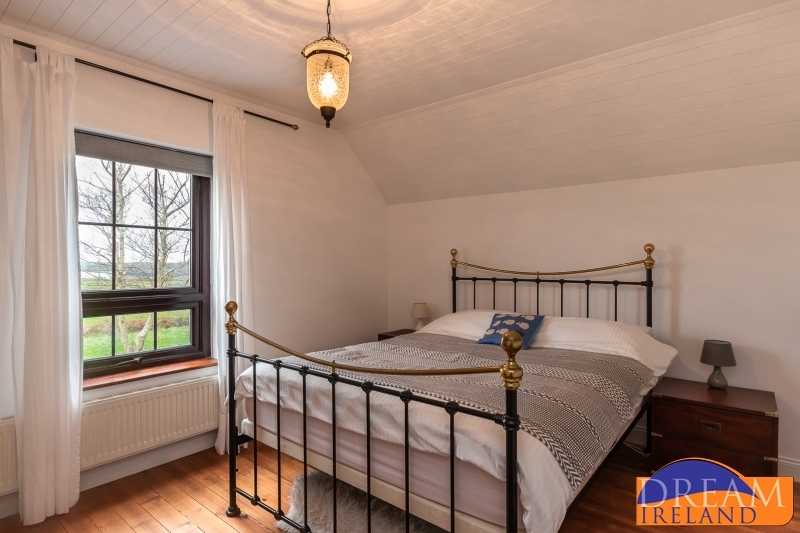 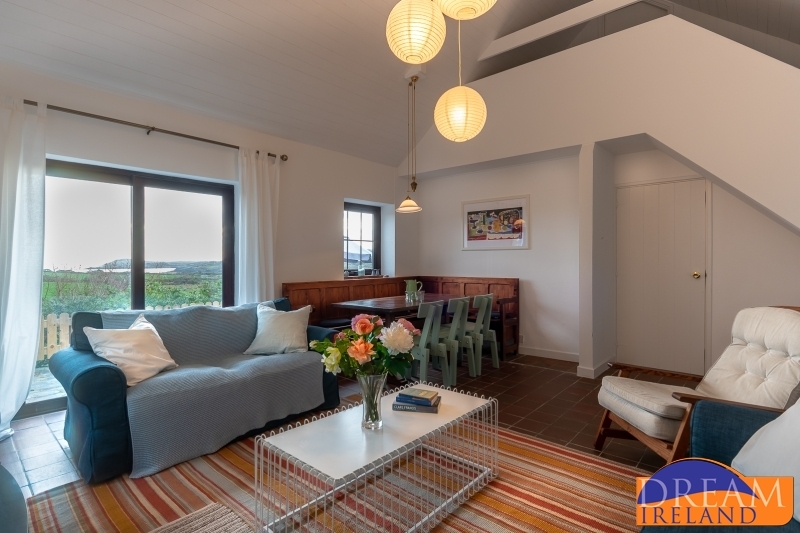 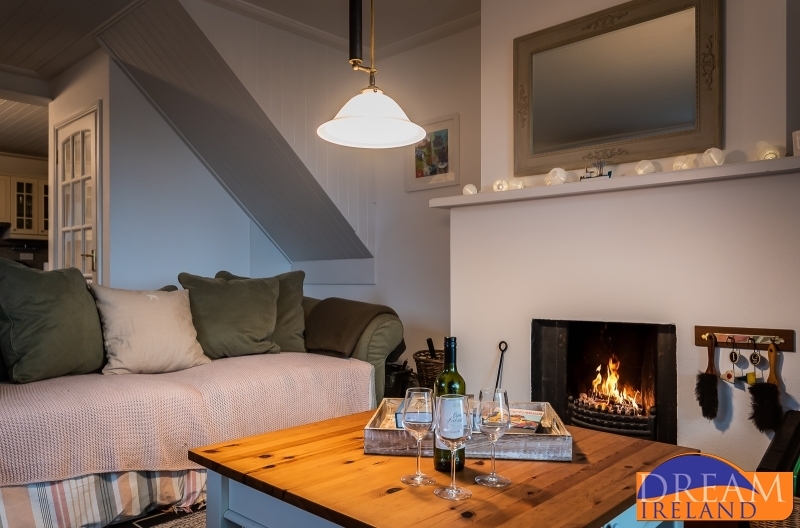 This section of the house also has a small single room which is absolutely adorably decorated and has lovely sea views and alongside this is a twin bedroom with two single cast iron beds, again looking towards the sea. 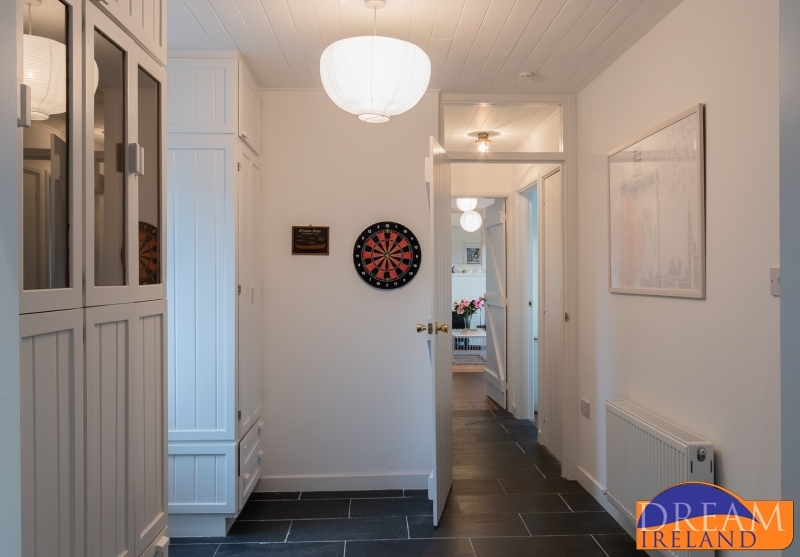 Go back out into the entrance hall and down a couple of steps to take you to the open plan kitchen, dining and living room. 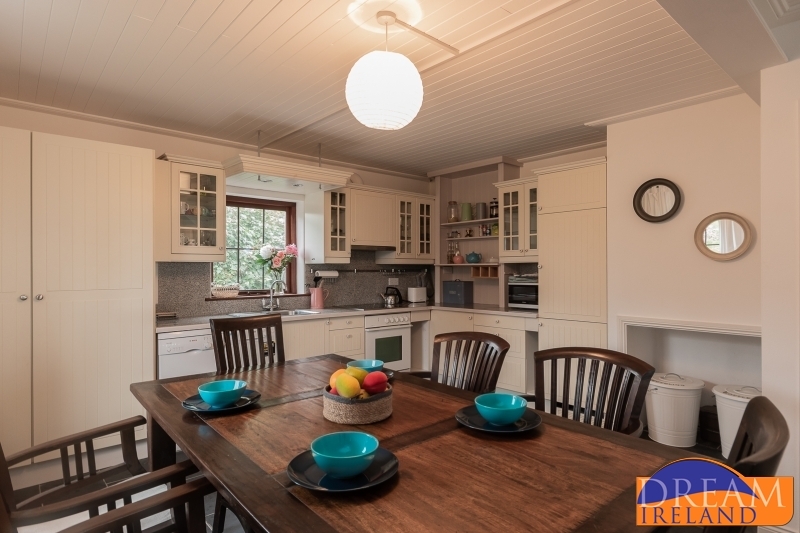 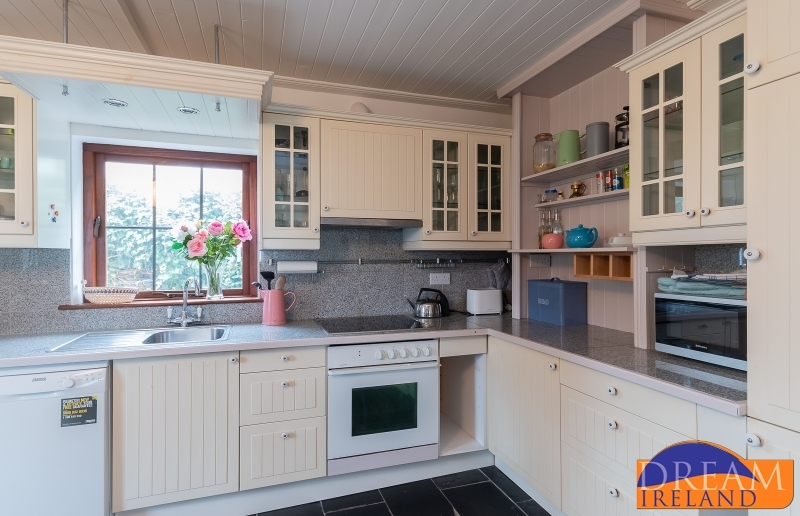 The kitchen is well equipped with electric oven, dishwasher, microwave, kettle, toaster and cooking utensils. 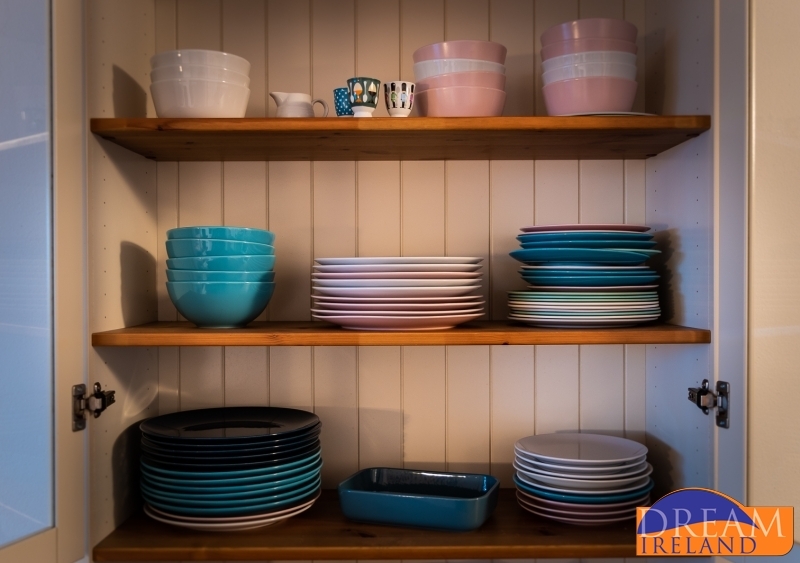 There is lots of lovely crockery on display and the kitchen has a real country feel to it. 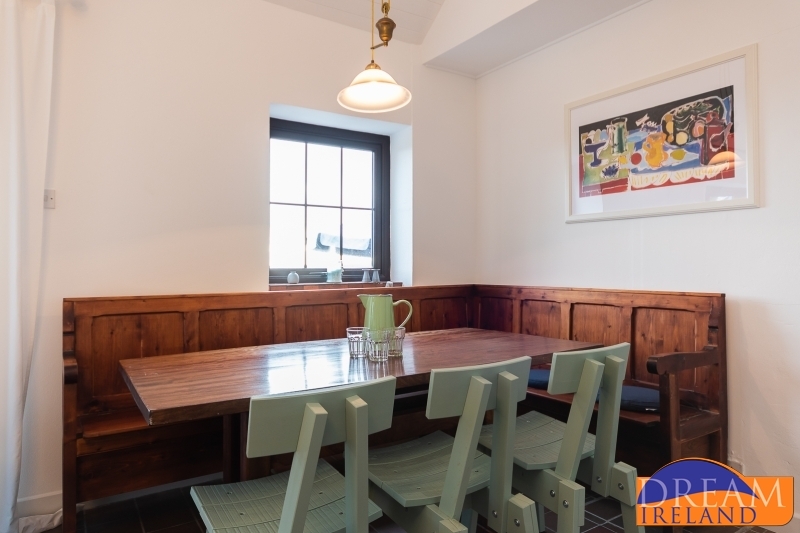 There is a dining table in the kitchen area that can seat up to six people. 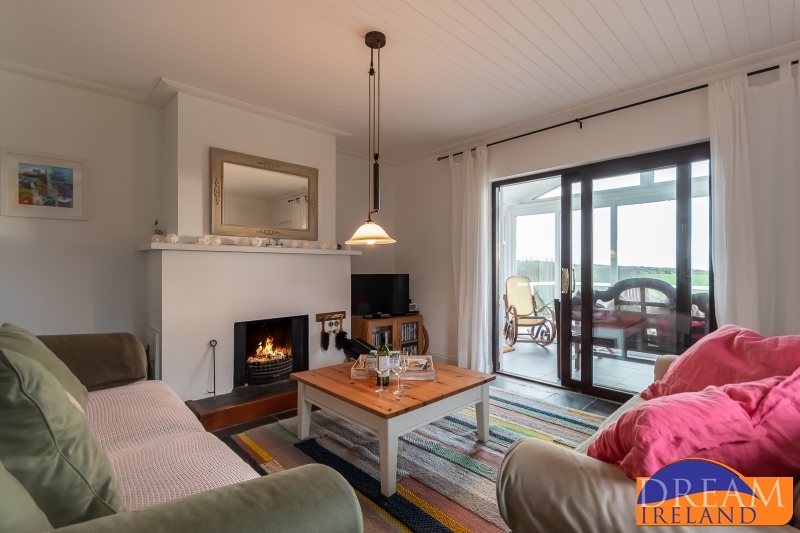 The living room is really cosy and has an open fire along with a TV and two couches. 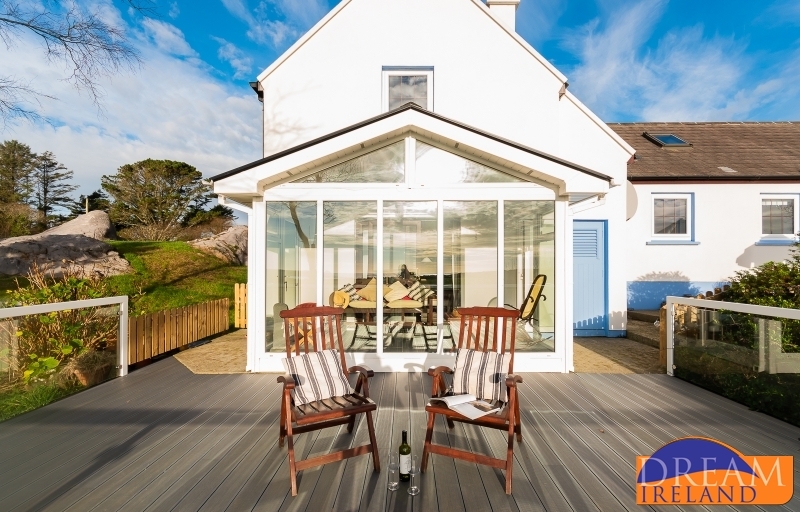 Sliding doors lead out to a little indoor suntrap with a couple of comfy chairs – perfect for enjoying your morning coffee while enjoying the view. 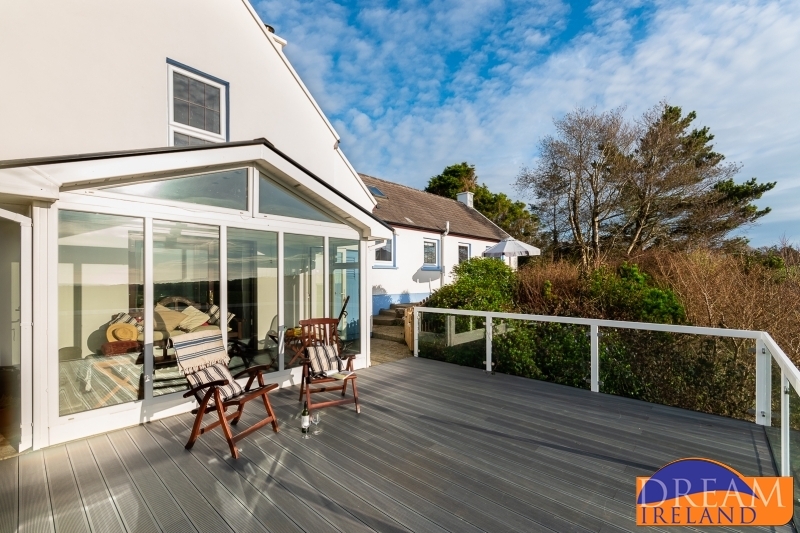 A door leads outside to the large decked area where you will be able to relax and enjoy your surroundings and maybe lie out and do a bit of sunbathing in the privacy of this wonderful home. 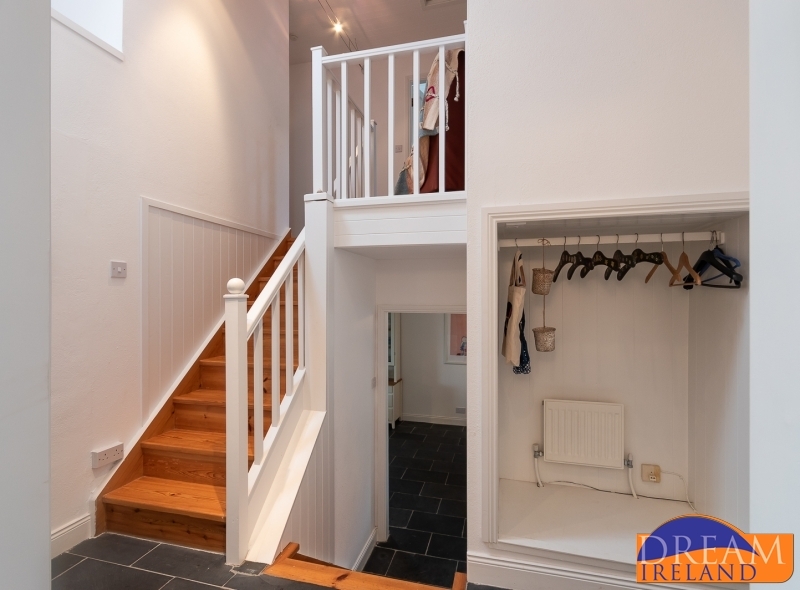 Go back into the kitchen area and up the steps to the entrance hall and then up another couple of steps to the remaining two bedrooms upstairs. 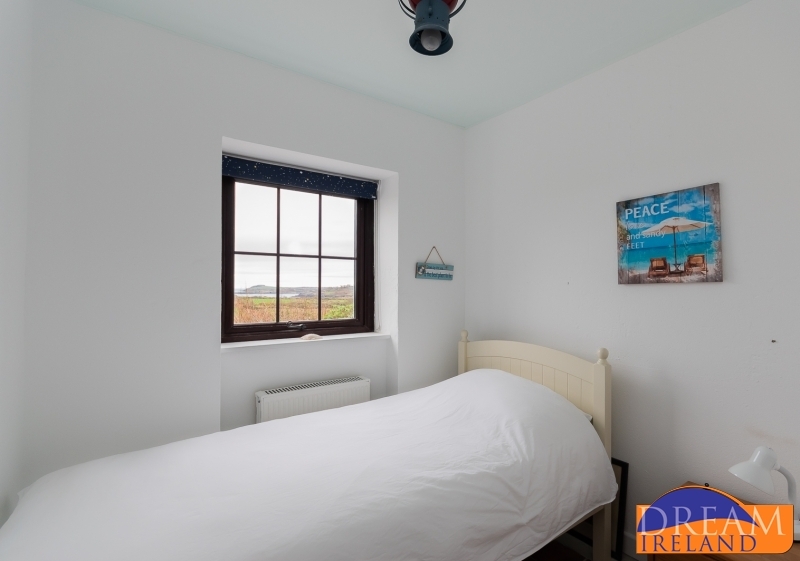 The master double bedroom is to the rear and has sea views and there is another double bedroom alongside it. 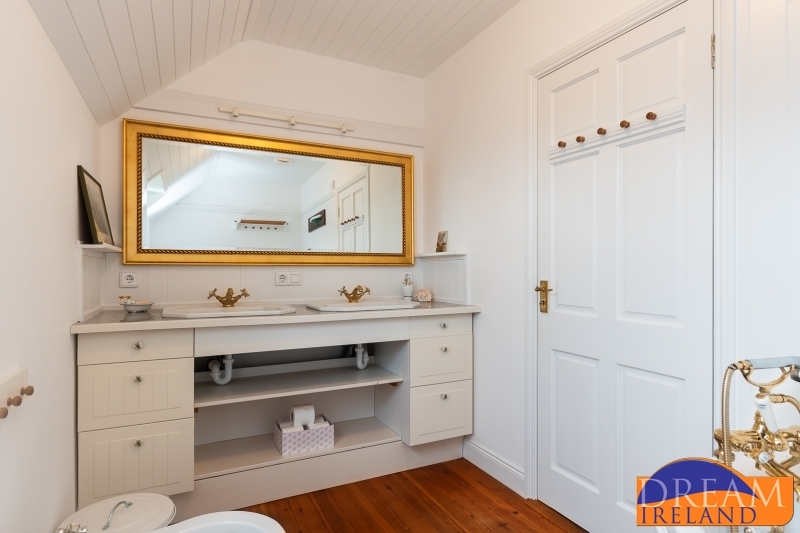 The main bathroom is between the two and has a bath and two sinks. 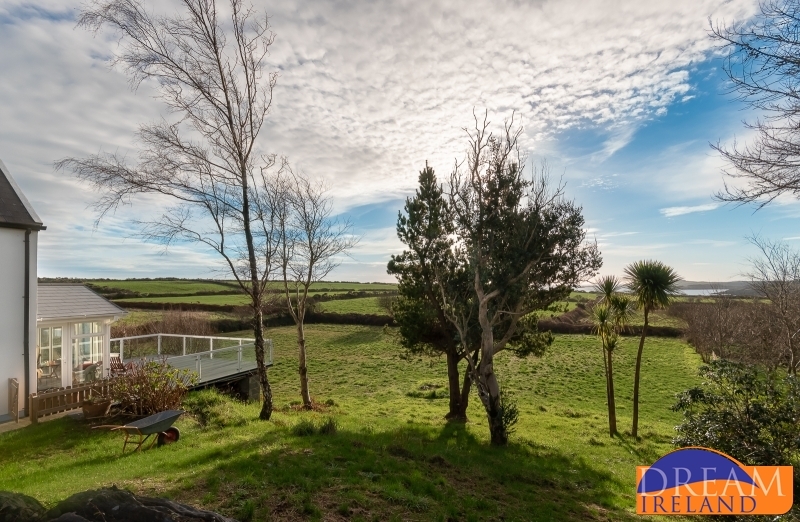 A large garden runs right behind the house and is ideal for youngsters to enjoy themselves. 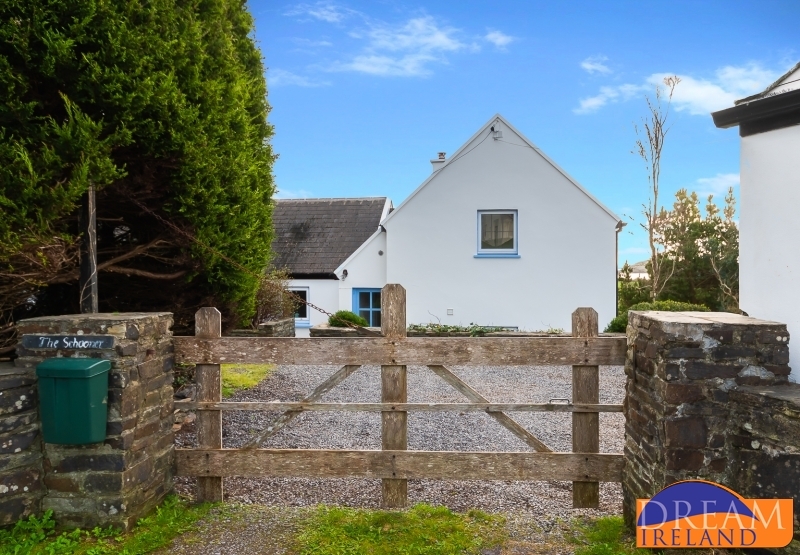 There is parking inside the private gate off the little country road on which the house is located. 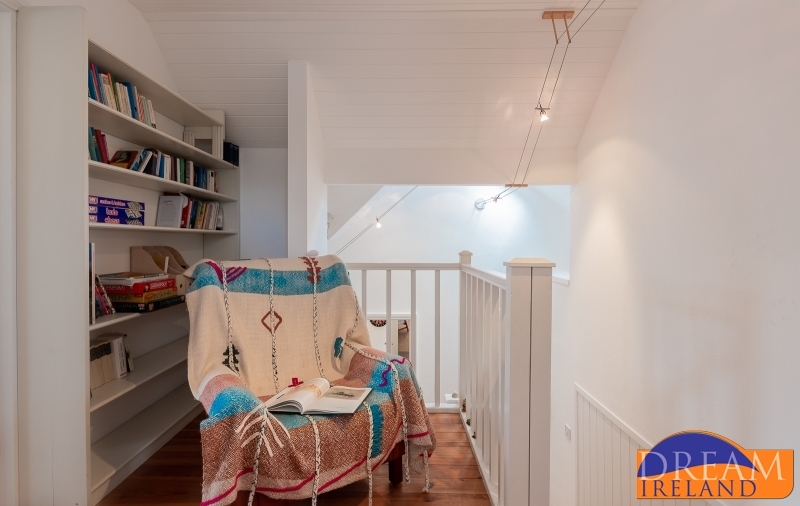 It is tight though! 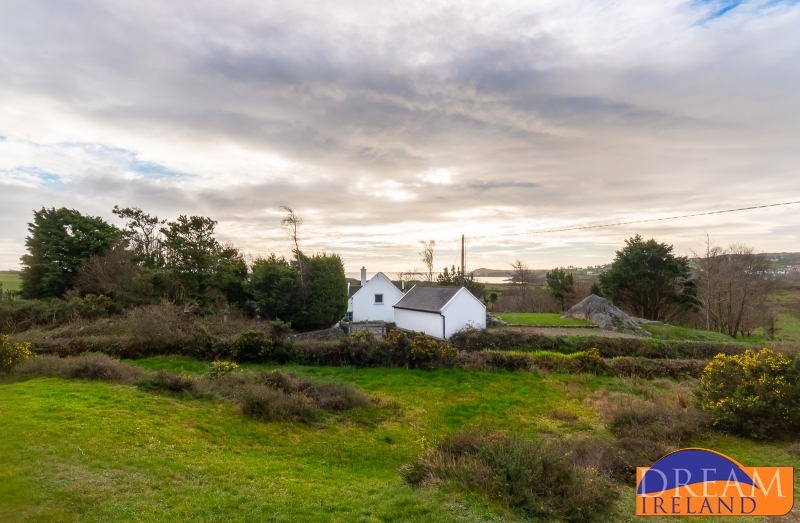 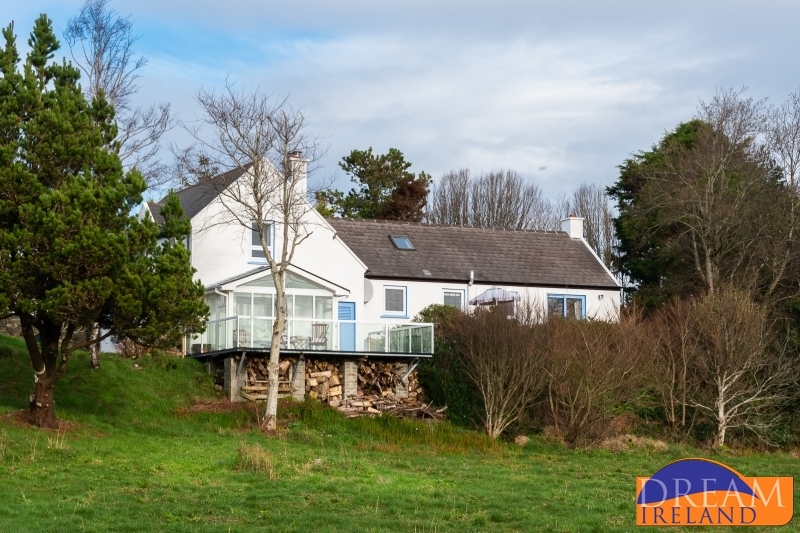 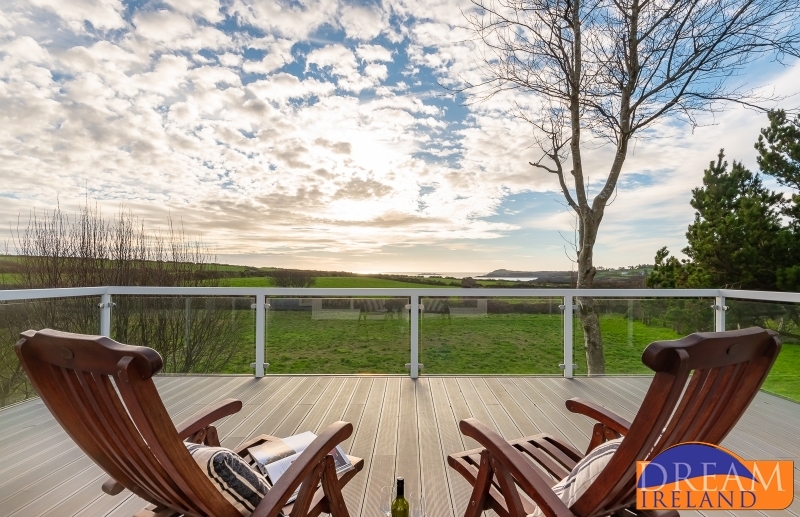 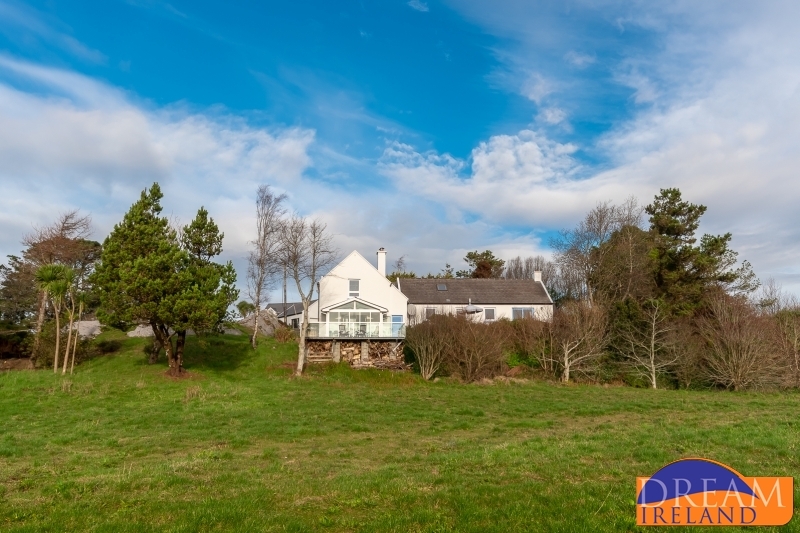 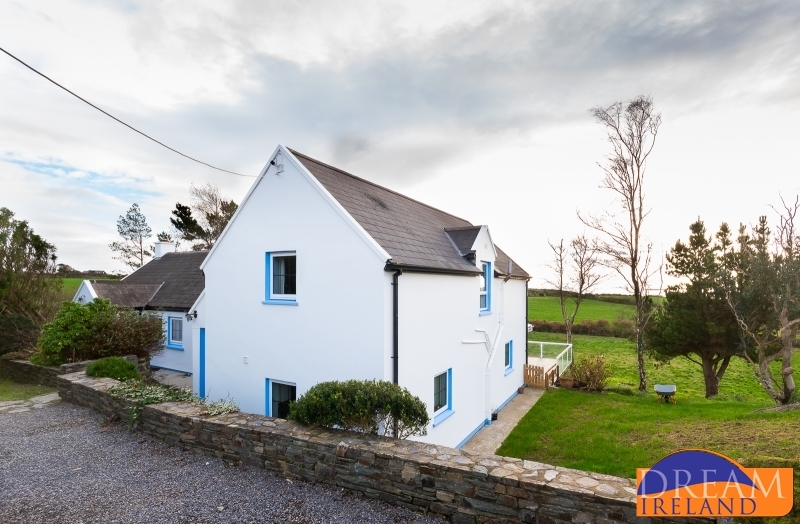 Set on 9 acres, the Schooner is located less than a mile from the West Cork Village of Goleen. 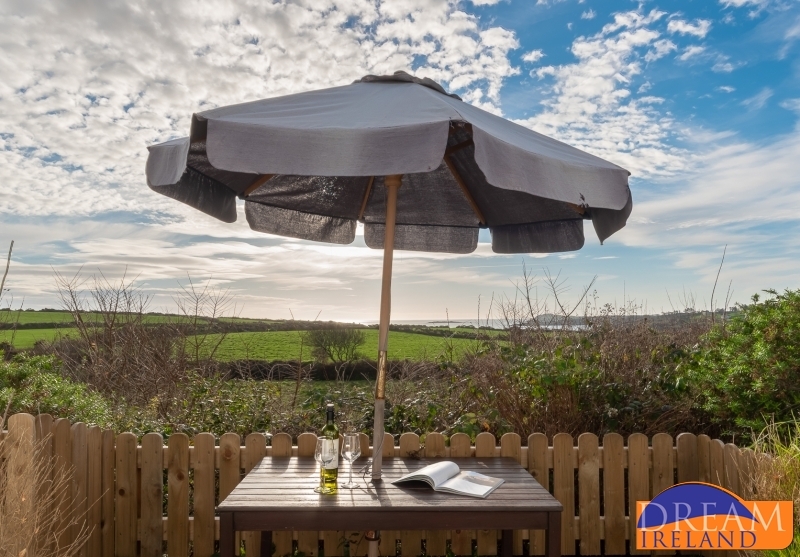 The local shop and pub are just a 10 minute walk away. 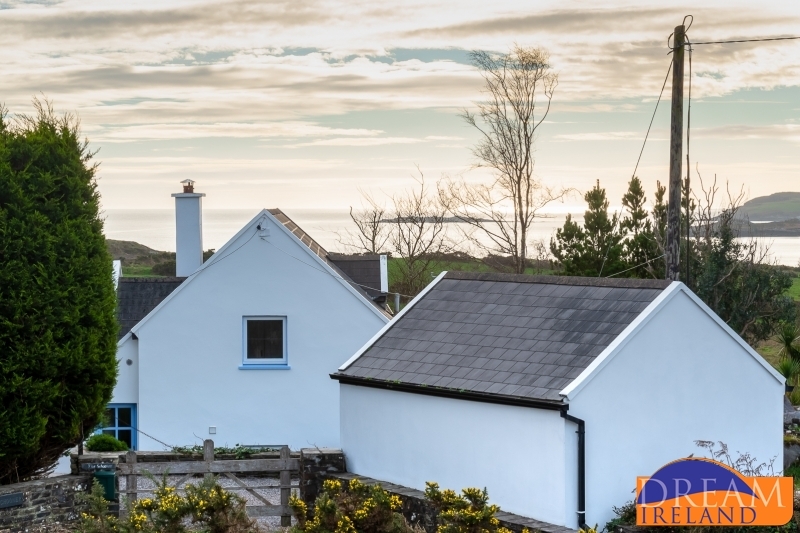 The spectacular Blue Flag Barley Cove Beach is just a short drive away as is the visitor centre at Mizen Head. 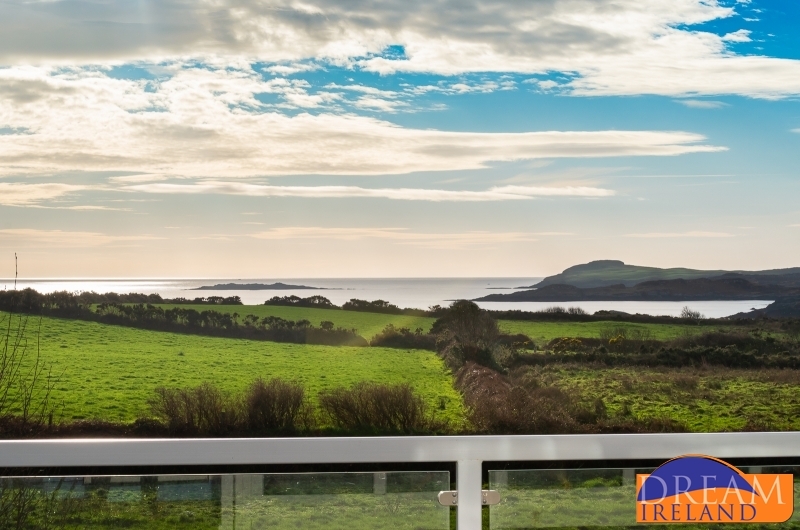 As with most locations in Ireland, you are not far from any number of golf courses and horse riding options locally.